A vane measurement probe, designed to be used to take velocity measurements at duct exits. 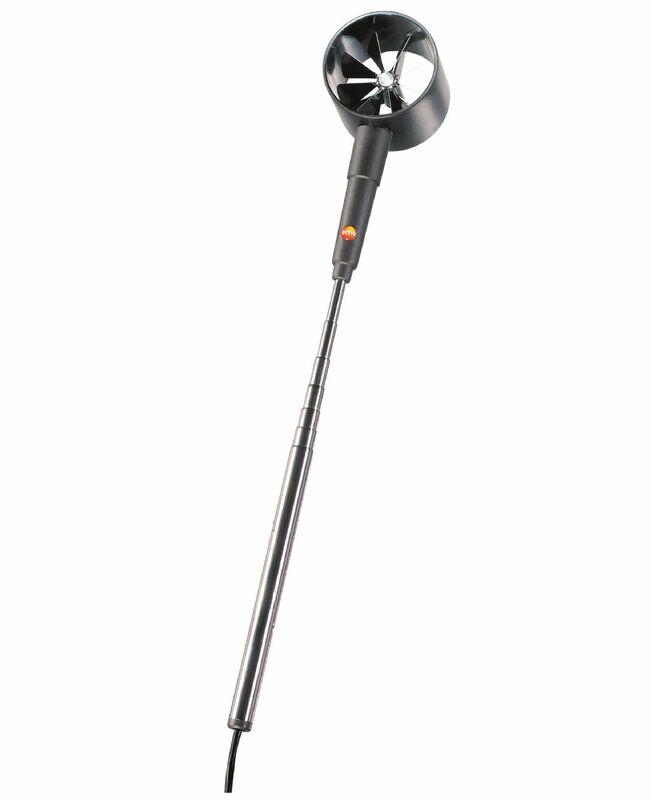 Probe head has 2.36" diameter, with a telescopic handle (36" max). Probe has a MiniDIN type connector.